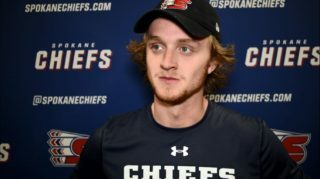 Spokane, Wash. — The Spokane Chiefs announced on Monday that they have acquired forward Luc Smith from the Kamloops Blazers in exchange for forward Jeff Faith and two picks in the 2020 WHL Bantam Draft. Smith, a 20-year-old center from Stony Plain, Alta., picked up eight goals and 11 assists for 19 points in 22 games with the Blazers this season. The 6-foot-4, 210-pound pivot added 26 penalty minutes and a 54.9 win percentage on 450 face-offs. Smith had a breakout year last season with Kamloops, posting 21 goals and 44 points along with 96 PIM. 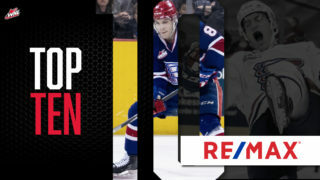 Originally a third-round pick of the Regina Pats in the 2013 WHL Bantam Draft, he has played in 270 career games, scoring 47 goals and 100 points between the Pats and Blazers. He also boasts 19 games of playoff experience (1G-2A). 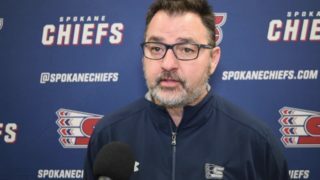 Headed to Kamloops are the Chiefs’ third-round and sixth-round picks in the 2020 bantam draft as well as veteran winger Jeff Faith. Faith was the Chiefs’ first-round (16th overall) pick in the 2013 WHL Bantam Draft. In 191 career games with Spokane – 71st in franchise history – he recorded eight goals and 18 assists for 26 points, along with 205 PIM. In 24 games this season, he has recorded one goal and 27 PIM. Smith is expected to join the Chiefs on Tuesday. He will wear jersey number 20. 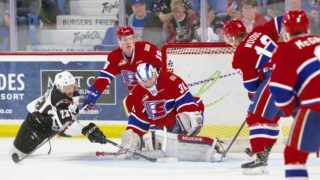 The Chiefs are back in action Wednesday, November 28 when they take on the Prince George Cougars. 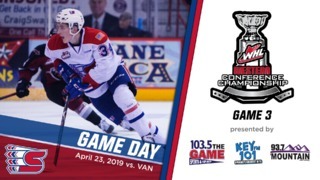 It will be the second TicketsWest Player Magnet Giveaway Night of the season with the first 1,000 fans in attendance receiving a player magnet featuring a Spokane Chiefs player, courtesy of TicketsWest. There will also be U.S. Marine Corps on hand to accept new, unwrapped toy donations for the Toys for Tots program. 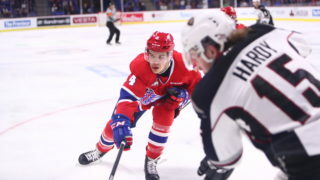 Tickets for Wednesday and all Chiefs home games are available online here, over the phone at 509-535-PUCK and in-person at the Chiefs’ Ticket Office at Spokane Arena.